An award-winning development, Banyan The Resort is located in the royal resort of Hua Hin which lies 200 kilometers south of Bangkok. 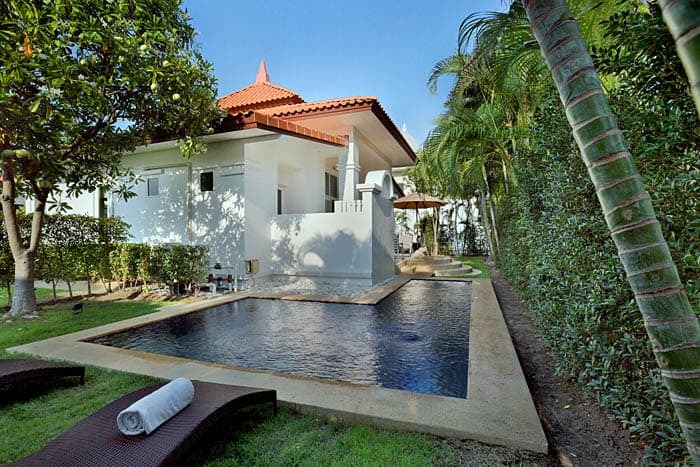 The spectacular Banyan consists of a premium villa resort, championship golf course and private residences which are just moments away from the beautiful white sandy beach of Khao Takiab. An outstanding way of life greets you when you enter the resort with everything you need for that long awaited and deserving holiday in tropical surroundings right at your doorstep. 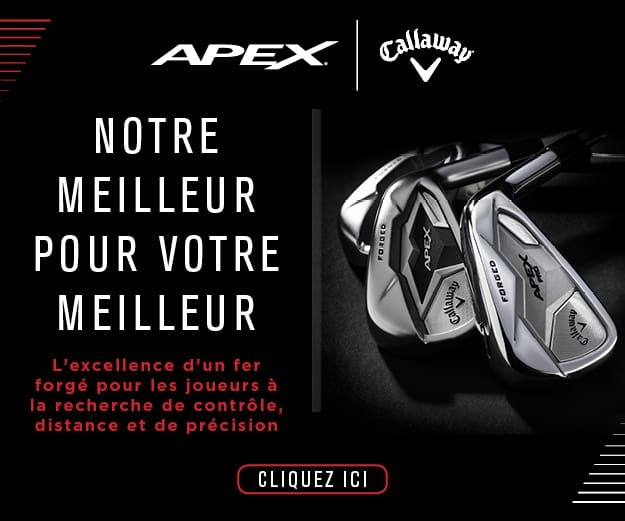 You can easily access shops, spas, world–class golf courses, international restaurants and cocktail bars. The resort is the preferred destination for a weekend getaway for residents living in Bangkok and nearby cities and has been voted one of the best golf resorts in South East Asia. Set in a beautiful landscaped environment and complimented by world-class facilities, the idyllic resort comprises of luxurious two and one-bedroom villas, tropical gardens, infinite swimming pools, spa and fitness facilities and all-day dining venues serving Thai and International cuisine with one of the restaurants recently named one of the best in town by Thailand Tatler. 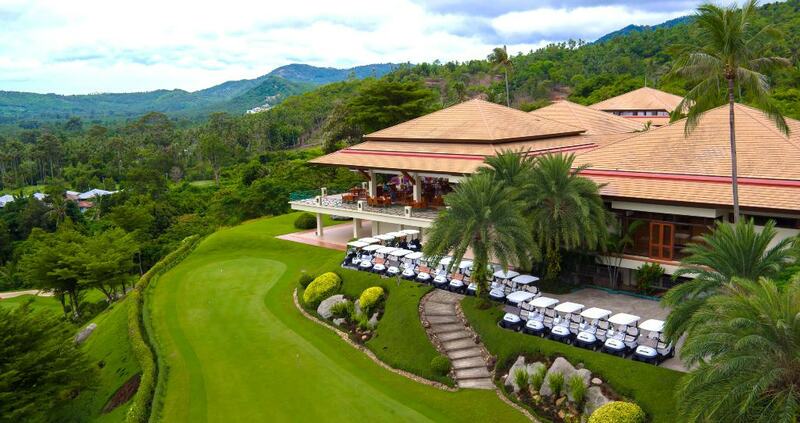 Moments from one of the region’s most impressive golf courses and a short drive from the heart of Thailand’s royal resort town, Banyan The Resort, offers guests an enviable lifestyle and is the ideal choice for relaxation with the family and perfect golfing getaway. 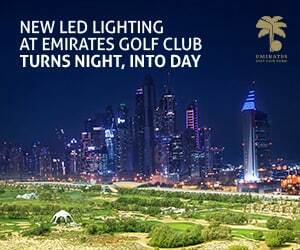 The golf course opened in 2008 and in the first year of operation won “Best New Course in Asia Pacific”. Banyan Golf Club has been a hit with everyone that visits and has gone on to win many ranked golf awards including “Best Golf Club Experience in Asia Pacific”. It is no wonder that this world class facility has a cabinet full of awards due to the fact the management team at the club provide an excellent golf and club experience to all its members and visitors on and off the course. Banyan Golf Club has been recognised for hosting some of the region’s most prestigious amateur and corporate events with BMW, Mercedes and Hyatt International as well as offering creative and exciting local golf competitions and F&B promotions with exquisite wine dinners and barbecues. The club is viewed as the number one golf facility for corporate, charity and group events with the clubs team tailoring the event to the client’s desire ensuring the smooth running from start to finish. The conditions of the golf course are excellent all year round with the consistent greens being the best in the country. As well as welcoming corporate and charity events the course has also played host to the MENA Golf Tour with The Mahasamutr Masters being played at the club the last two years. Thailand’s very own Jazz Janewattananond triumphed in last year’s event after coming through a nail-biting playoff with compatriot Varanyu Rattanaphaibulkij. Banyan Golf Club is proudly associated with Emirates Golf Club, Dubai Creek and Yas Links in the UAE with members frequently travelling to Thailand to enjoy the tranquil surroundings whilst playing on a world-class course. 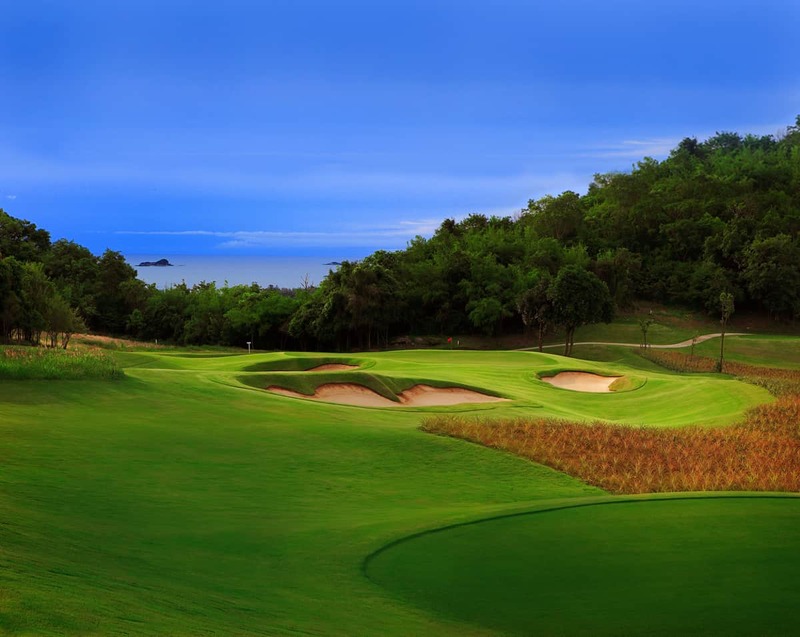 The course also has links with premier member clubs across Asia with guests from Singapore, Malaysia and Hong Kong travelling to the resort for a family holiday in peaceful surroundings. Banyan has truly become an icon for golf in Thailand and has been ranked as the number one tourist attraction in Hua Hin by Tripadvisor. Should you be visiting Hua Hin to play golf, or just taking in the sun on a pristine white beach, a visit to Banyan is highly recommended.